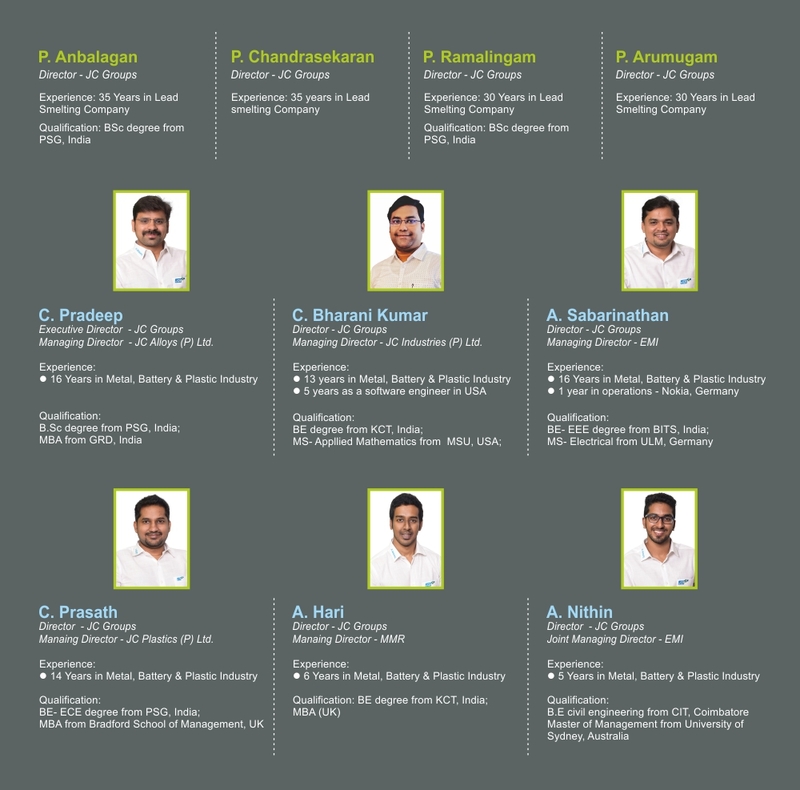 The top management team of Jayachandran (JC) Alloys is a perfect blend of experienced personnel and dynamic youths. The experienced personnel’s on one side help in maintaining the stability of the organisation, while the dynamic and educated youth on the other side help in innovating new techniques and speeding up the growth of the company. The people in the management team come from diverse backgrounds with complementary skills.